Spidey faces Kraven's last hunt, the death of a friend, and his own wedding day! For over 50 years, Spider-Man has been a sensational standout in the Marvel Universe, and this year, the web-slinger swings onto the silver screen once more in “Spider-Man: Homecoming”! In celebration of his memorable history, we present Spidey’s spectacular step-by-step story! After a breezy jaunt to England to stop the Roxxon Corporation from selling a super-weapon to the British government in WEB OF SPIDER-MAN #22, our hero returned to the States to stop Slyde in WEB OF SPIDER-MAN #23, mash the Mauler in PETER PARKER, THE SPECTACULAR SPIDER-MAN #122, and find himself framed for murder in SPECTACULAR SPIDER-MAN #123. Of course, that’s above and beyond vying with the Vulture in WEB OF SPIDER-MAN #24, attacking aliens in WEB OF SPIDER-MAN #25, and granting second chances to crooks in WEB OF SPIDER-MAN #26. Dr. Octopus returned in SPECTACULAR SPIDER-MAN #124, and Spider-Woman wrangled the Wrecking Crew in SPECTACULAR SPIDER-MAN #125 to remind the Wrecker of his dying mother’s last wish in SPECTACULAR SPIDER-MAN #126. 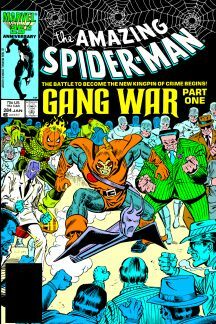 In the absence of the Kingpin, a gang war involving the Arranger, Silvermane, the Rose, Hammerhead, and the Hobgoblin broke in AMAZING SPIDER-MAN #284, all while Spidey wrestled with the question of giving up his hero career forever. 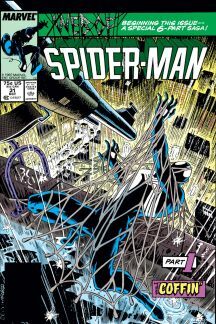 He confronted the Punisher over how to deal with the gangs in AMAZING SPIDER-MAN #285, and failed to stop the Rose from killing a cop in AMAZING SPIDER-MAN #286. Daredevil turned up the heat for the wallcrawler and the Rose stood revealed as the Kingpin’s son Richard in AMAZING SPIDER-MAN #287, while in AMAZING SPIDER-MAN #288 the Kingpin regained his throne as Spidey and a few friends fought to prevent just that. The Headhunter tried to hang Spidey out to dry in WEB OF SPIDER-MAN #27 while the webslinger prevented Liberty’s torch from being stolen in WEB OF SPIDER-MAN #28. 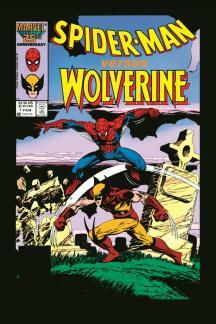 During an overseas trip, Spidey clashed with Wolverine, while his Daily Bugle colleague Ned Leeds was killed in SPIDER-MAN VS. WOLVERINE #1, and Ned was posthumously revealed as the Hobgoblin – with Jack O’ Lantern becoming the new Hobgoblin — in AMAZING SPIDER-MAN #289. Peter meanwhile dealt with the aftermath of Ned’s death in WEB OF SPIDER-MAN #29. Curt Connors let loose the Lizard in SPECTACULAR SPIDER-MAN #127, J. Jonah Jameson hired Silver Sable in SPECTACULAR SPIDER-MAN #128, and the long-simmering clash between our hero and the Foreigner went down in SPECTACULAR SPIDER-MAN #129. Following a serious of seemingly never-ending threats, Peter Parker proposed to Mary Jane Watson in AMAZING SPIDER-MAN #290, but for reasons of her own, she said “no” in AMAZING SPIDER-MAN #291 and left for her hometown of Pittsburgh. 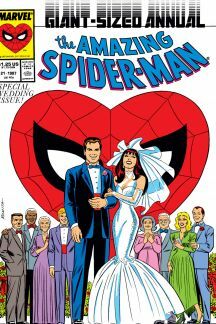 Peter followed her there in AMAZING SPIDER-MAN #292, and after an attack by the newest Spider-Slayer and a run-in with MJ’s crooked father she finally said “yes.” The happy couple exchanged vows in AMAZING SPIDER-MAN ANNUAL #21, and honeymooned in the south of France in SPECTACULAR SPIDER-MAN ANNUAL #7. Alas, immediate wedded bliss eluded them when Peter dealt with the death of friend Ned Leeds in WEB OF SPIDER-MAN #29, the Rose’s thorns grew even deadlier in WEB OF SPIDER-MAN #30, and Spidey raced against the clock in SPECTACULAR SPIDER-MAN #130 to save Harry Osborn’s life. To make matters worse for Peter and Mary Jane, Kraven the Hunter hatched a plot to utterly destroy his elusive enemy in WEB OF SPIDER-MAN #31, and defeated, buried alive, and replaced him in AMAZING SPIDER-MAN #293. 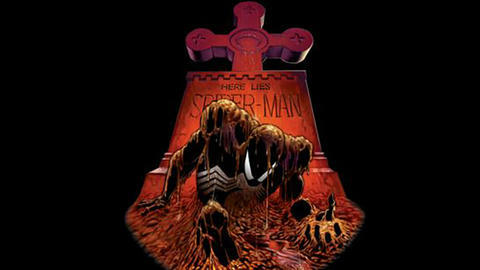 The new, more savage Spider-Man sought out the sewer-dwelling Vermin in SPECTACULAR SPIDER-MAN #131, while the original dug himself out of his grave in WEB OF SPIDER-MAN #32 to confront Kraven in AMAZING SPIDER-MAN #294. After the Hunter took his life, Spidey clashed with Vermin to end the saga in SPECTACULAR SPIDER-MAN #132. To hide his mob connections, a man sent his wife to an asylum in WEB OF SPIDER-MAN #33, so Peter posed an inmate to investigate in AMAZING SPIDER-MAN #295 and led a revolt from the so-called “mad dog” ward in SPECTACULAR SPIDER-MAN #133.